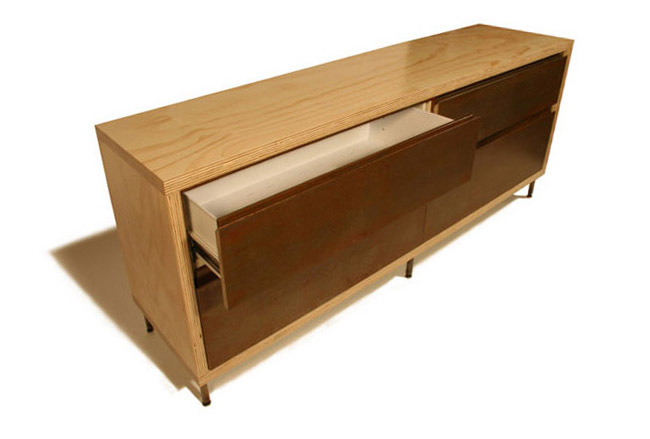 The entropy credenza makes a perfect workspace media storage unit and can also work well in a domestic setting. Featuring our weathered steel clad drawer faces and all steel internal hardware, the lower drawers come with horizontal filing hardware for document storage. 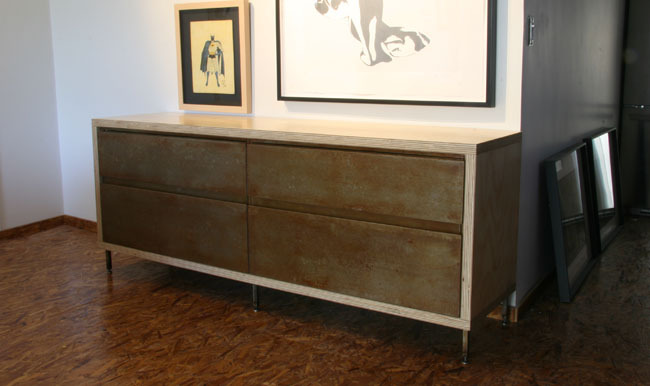 Polished and clear-coated FSC Certified plywood with steel hardware, drawers and steel legs. All units are handmade in Los Angeles California.